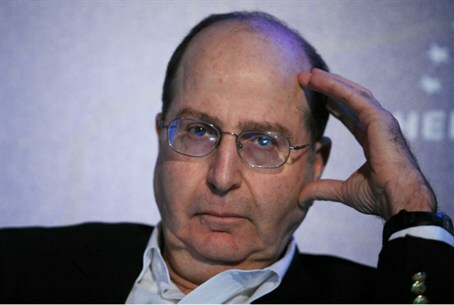 Strategic Affairs Minister Moshe Ya'alon: Barak likes to light fires. He shouldn't be allowed to deal with the issue of Beit Hamachpela. Strategic Affairs Minister Moshe Ya'alon slammed Defense Minister Ehud Barak over the issue of the sale of Beit Hamachpela in Hevron, and has called to prevent him from dealing with it. According to a report in Ma’ariv, Ya’alon made the comments during a meeting in Prime Minister Binyamin Netanyahu’s office on Tuesday night, as well as behind closed doors on Wednesday morning. During his meeting on Tuesday night with Ya’alon, Barak and Minister Benny Begin, Prime Minister Binyamin Netanyahu reportedly decided that Beit Hamachpela will be evacuated by April 26. A source involved in the meeting told Channel 10 that legal experts who attended the meeting announced that, if owners are unable to prove they bought the house legally, it will be evacuated within 30 days from the date of entry, unless they leave on their own initiative. Ya’alon, who admitted that the legality of the sale should be examined, said that such an examination can be done quickly and accused Barak of deliberately stalling the proceedings. Ya’alon’s criticism of Barak follows several other Likud lawmakers who have charged the Defense Minister of seeking to use the issue as an electoral ploy – his Independence party continues to poll beneath the requisite threshold to be seated should elections be held. Transportation Minister Yisrael Katz (Likud) visited the home on Tuesday morning and said that he is convinced Jews will continue to live in it. "Had someone said that the purchase was illegal, that would have been a different situation," he said. "There is no extraordinary security situation here that forces the eviction. As long as everything was done legally, an Israeli government headed by Likud has to encourage settlement."